If you want to make your tracks more musical without knowing much about scales and harmony, then this tutorial is for you. This combination of tools and hacks will enable you to add chords, melodies, and basslines to your productions, in the right key and without much effort. If you already know the key of a sample or a song you want to remix, or, say, you build your melodies from scratch, you can skip this step. For the former, it’s possible that the key is noted in your sample’s file name (something like “C” or “Am”), or if, for example, you bought the track on Beatport, the key may be written into the track’s metadata. But if don’t know your audio’s key, and still want to add more sounds to it, you should find it out to keep your song’s harmonies in check. There are a number of programs out there to help you, including Mixed in Key, which is a pretty popular add-on that analyzes the harmonies and melodies of your music so that you can mix key-compatible tracks. In this guide, I will use a little freeware program called Keyfinder. It’s simple: Just open Keyfinder, drag and drop any amount of audio files into the window, and hit Run Batch Analysis. The key will appear on the right-hand side in a red box. So let’s say we choose a guitar sample in G-flat minor (Gbm). That’s all you need to know to go on to the next step. Now it’s time to choose the notes we want to use. Relax: No detailed knowledge of scales is needed, since we have Wikipedia. Seriously? Yep. All you need to do is download these images right here and here. One is for major scales, the other for minor scales. 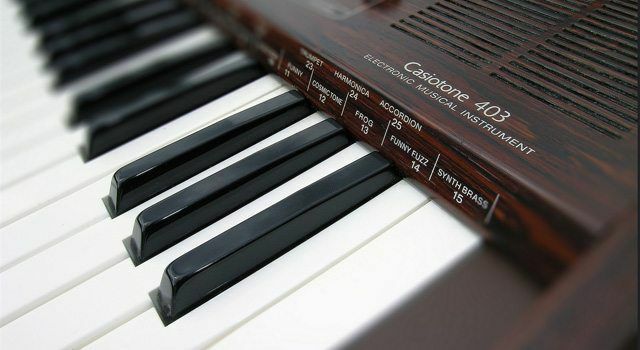 If your audio is in a minor key, it has a lowercase “m” at the end of its name, like in “Gbm” (aka G-flat minor). If there is just a letter (like “A” or “D”) and maybe an accidental (the sharp or flat symbols, # or b), it’s a major one. Of course, there are more kinds of keys, but for most electronic music, these two will be all you need. Basically, every key consists of seven notes that you can play that will sound in-key. 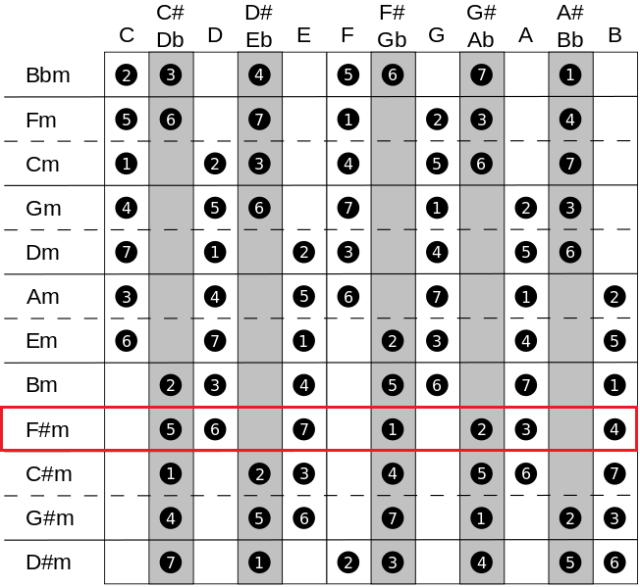 What you see in the left-hand column is the key (all of which are minor scales in this case, denoted by the lowercase “m”), and the rows show us each key’s corresponding notes, presented in a keyboard style. On top are, naturally, the names of the different notes. So basically, this graphic tells us which notes will work in a certain key. The notes with the numbers on them are the ones we want to use. If you start from scratch, and want to compose a lead synth, for example, you could just randomly pick one of these keys and play around with its corresponding notes. Or do it the other way around and play something first, then find out its key. If you don’t work with a MIDI keyboard, you can also open the piano roll in the DAW of your choice, draw in the right notes, and vary them. If we remember our guitar sample from step one, we can’t find “Gbm” anywhere in the graphic for minor scales. That’s not a problem, though: If you look at the note G-flat (Gb), you will see that it is the same as F-sharp (F#). That means for us Gbm = F#m. So what we want to do now is look at the row for the key F#m instead (again, in the red box). It works like this for all other flat (b) notes. We know we can play the notes C#, D, E, F#, G#, A, and B with our guitar sample to stay in key, in any octave. Now just play around and create some awesome melodies! You’re safe—everything is in key. And if what you’re doing is creating a bassline, you’re done here, as basslines normally just use one note at a time. Well, that was fun, but to really sound musical, you probably want to play more than one note at the same time—which is where chords come in. Try playing any combination of notes in a key from our graphics in step two, which will work in key—no dissonances (or off-key sounds) will occur. But we want more: Some combinations sound better than others, so it makes sense to play the “normal” chords for a start. But how? There are a couple of websites that are incredibly useful here. The first one, Keychord, just gives you chords according to a given key. Choose the key in the list on the left and get the basic chord. That’s cool, but normally you need a couple of chords to create a song (aka a chord progression). For that we have a second website, Autochords. Just tell Autochords what you want and it will give you the right progression of four chords, and even some fitting alternatives. Four chords are enough for most modern songs. First, choose a style (cliche, sad, etc.). Feel free to experiment here. Then choose an instrument. In most electronic music, piano might work best, but just play with it. Next, name your key, an accidental, and select major or minor. Boom—you have a chord progression in your key. Now simply draw these chords into your piano roll or play them out on your keyboard and manipulate them to your taste. 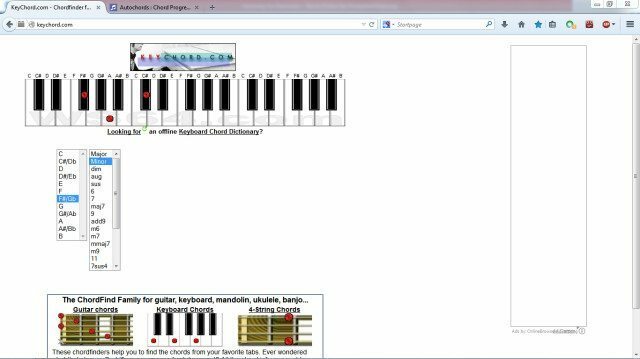 You can do this by either hovering the cursor above the chord’s name, which will give you the notes it consists of, or by switching back to Keychord and choosing the chord. 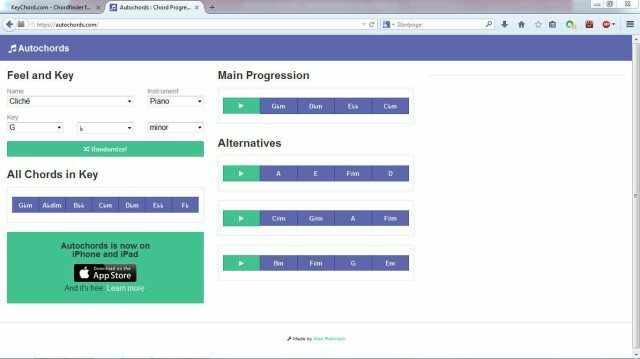 You can also go back and forth between both websites: Find the right chords on Autochords and then choose the same ones on Keychord with more notes to make it deeper or more complex. Find out what works best for you. With all these theoretical problems out of the way, nothing can stop you from creating great and harmonic tracks. Any other tips for simple harmonies that we haven’t thought of?